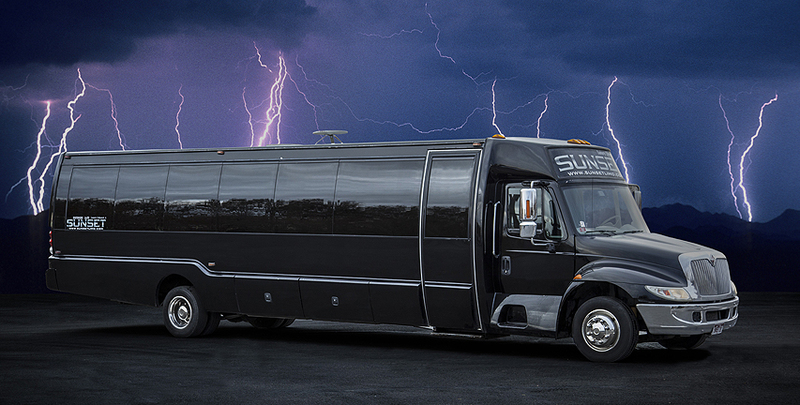 A Big Bus For Big Denver Parties! The second Land Yacht rental in Sunset Limos fleet! 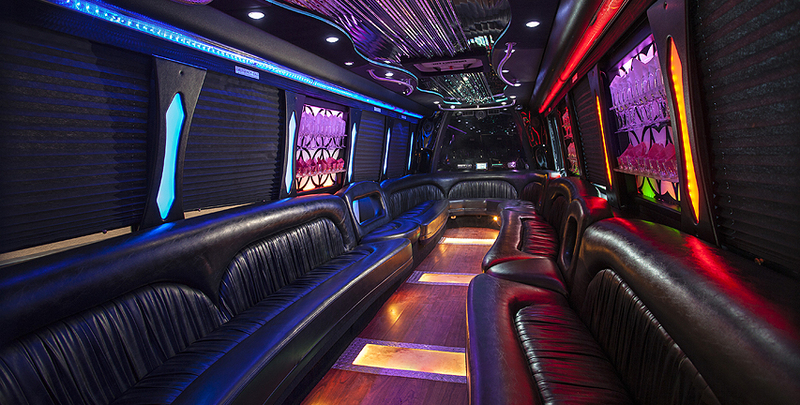 This Sunset party bus seats up to 40 passengers and comes equipped with smartphone integration, subwoofer and amplified sound system, lasers, HD flat screen televisions, a disco floor and a full beverage disco bar. 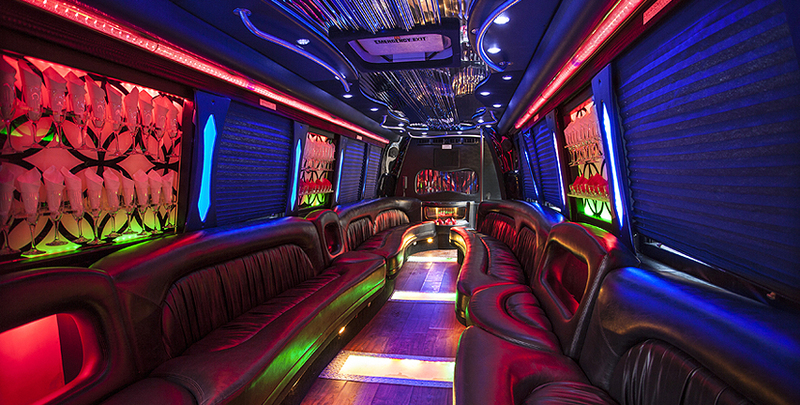 Perfect for a wild night out in the Mile High City, birthdays, bachelor parties or bachelorette parties. Call (303) 426-9668 to book this land yacht!